Ucom and Discovery Science summed up the results of the 2017 contest. As a result, the dream of Samson and Hrant Hayrapetyan brothers, the authors of the best idea on how people will communicate in future, came true. 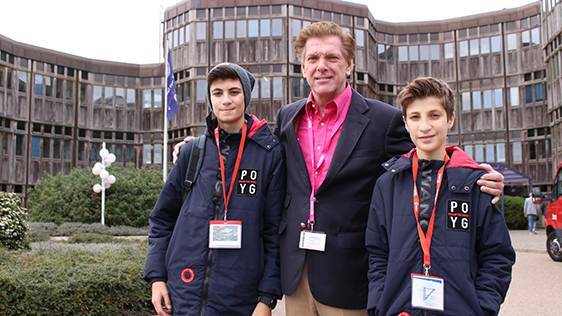 They travelled to the Netherlands and visited the headquarters of the European Space Agency. 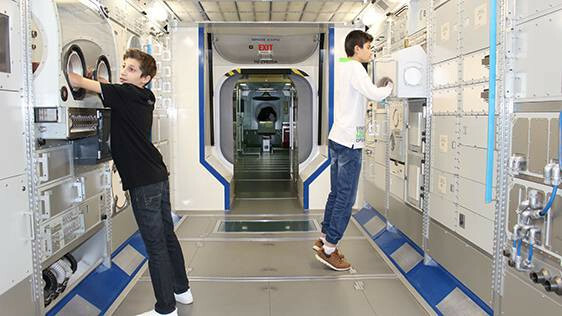 The Hayrapetyan brothers from Russia could not even imagine that during their summer holidays in Armenia they would participate in the contest, announced by the world-famous Discovery Science and Ucom, would win the contest and visit the headquarters of the European Space Agency. The Jury of the contest was impressed by the idea of a gadget meant for the deaf-and-dumb people. This gadget should be worn on the hand so that it can translate hand movements into speech and then convert speech into video via holographic camera. “It’s great to host here Ucom’s representative and the winners: Samson and Hrant. This is an excellent opportunity to inspire the new generation of scientists like these boys, by showing how their elder colleagues at the European Space Agency work here,” said Dr. Robert Willemsen, an employee at European Space Agency. During their visit the boys saw with their own eyes the routine of the best scientists of the planet, various state-of-the-art facilities, as well as historical spaceships that have been sent into space and returned to the planet Earth. By means of a special scale, the boys familiarized themselves with the force of gravity on the Moon, Mars and on other celestial bodies and had a general idea on how they would weigh on different planets. The children were allowed to be in such premises of the European Space Agency that were closed to tourists, and where only the scientists engaged in space research were entitled to have access. The boys were also aware that the participant, who won the second place, was a student at “Armath” engineering laboratory. During their visit to Amsterdam, the boys clearly realized that the engineering education and programming skills were more than necessary for them. “Me and Samson, we dream of studying at “Armath” engineering laboratory, and now we are sending our warm greetings from Amsterdam to “Armath” students. We thank Ucom for making our dream come true,” said Hrant Hayrapetyan.